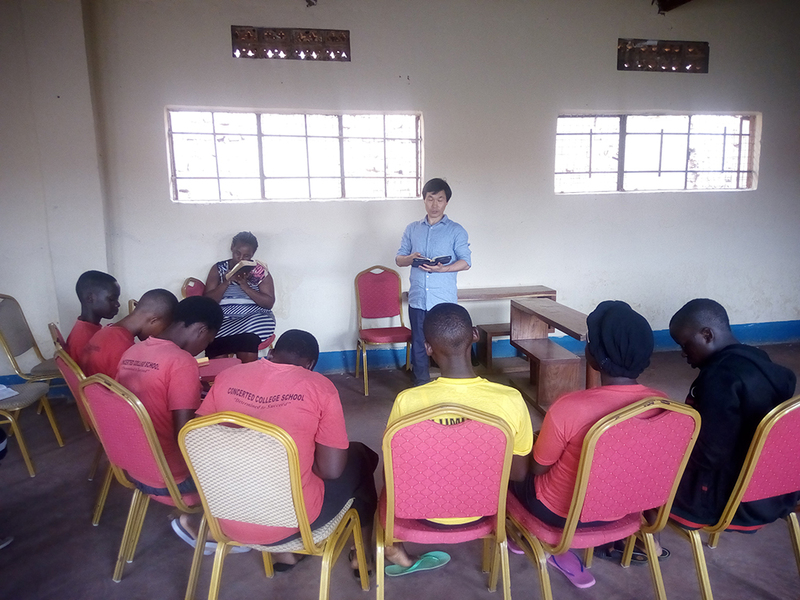 On September 25th, YEF Uganda team invited Missionary James to share the Word of God with the teenagers at Emmanuel church that the YEF team has been sharing with during there college ministry. The fellowship began with a worship song led by Rebecca the Head Prefect of Concerted college followed by an opening prayer led by Wegner the YEF Africa leader. He shared about the sin and salvation and how important to know God deeply during their youth. He concluded by letting the youths and teens know that Salvation is what we need to receive in our soul and Spirit as God searches the heart rather than our appearances, so we should receive circumcision of the heart Jeremiah.4:4. For this is the most important thing.